These units feature a 45-gallon (170 liters) mixing tank, a 15-gallon (57 liters) or 30-gallon (113 liters) holding hopper and the popular single-acting 3″ piston grout pump. Each mixing tank is equipped with baffles, bag breakers and a variable speed high-efficiency paddle mixer that provides rapid grout mixing. The tank outlet is a large slidegate that allows viscous grouting materials to flow quickly into the removable holding hopper. 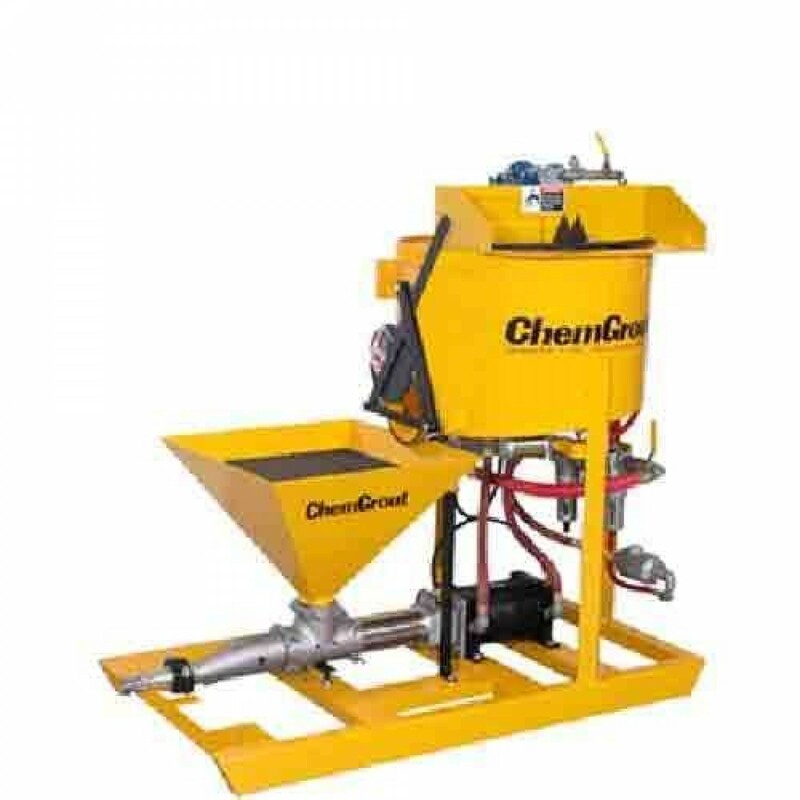 The large holding hopper is sized to provide continuous pumping, the mixer is charged while the hopper feeds the pump. The grout pump is a 3″ positive displacement, pulsating piston pump that disassembles with only a hammer for fast and thorough cleaning. The rugged steel frame stands up to the toughest conditions on the job site. Operator controls are centrally located for efficient production. The trailer mounted unit is road and job site ready equipped with leaf springs, lights and a working platform.